I read about this trek in the Lonely Planet and it was in the “off the beaten track” suggestions. 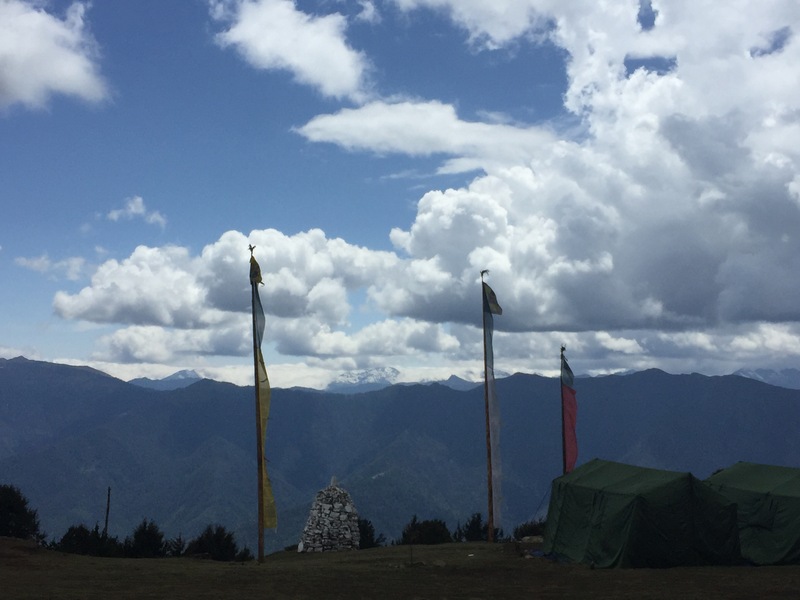 Since we love trekking, and we didn’t have time for a 5 day trek in Bhutan, I thought this was a great option since it was one night and two days. 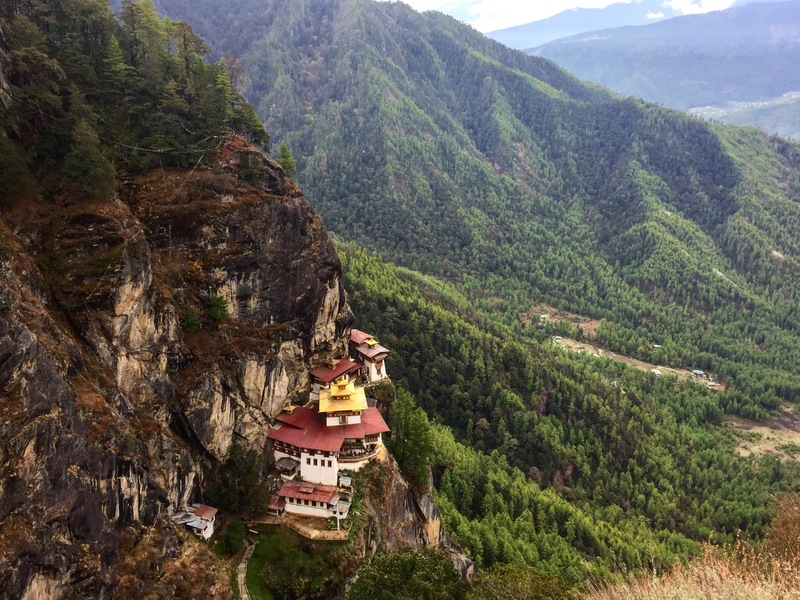 The second day ends at the Tiger’s Nest monastery, one of Bhutan’s highlights. I will break down each day and give you the amount of kilometres we walked. The amount of time you walk per day depends on how in shape you are! Day 1: You start your walk in the morning and walk through beautiful forests. Enjoy the flowers and trees. 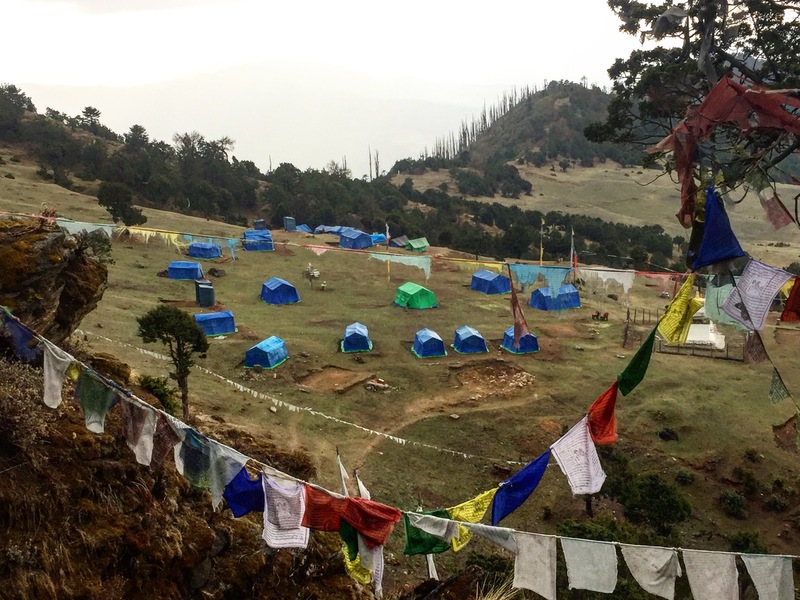 You take a break for lunch by a small monastery and continue upwards to the base camp (located at 3800m). The camp had amazing food, beds, and views. Day 2: After breakfast, leave early in order to walk down the mountain. You will see several monasteries on your way down. And then, you get a spectacular view of the Tiger’s Nest monastery. What is special about this trek is that you can see the monastery from above, what others do not get to see. You walk down to Tiger’s Nest, visit the monastery early with little crowds, and then walk all the way down to the main entrance. Total amount of kilometres walked: 10km. Camera and something to do (book, playing cards etc). If you enjoy nature, camping, and trekking, I DEFINITELY suggest this trek!